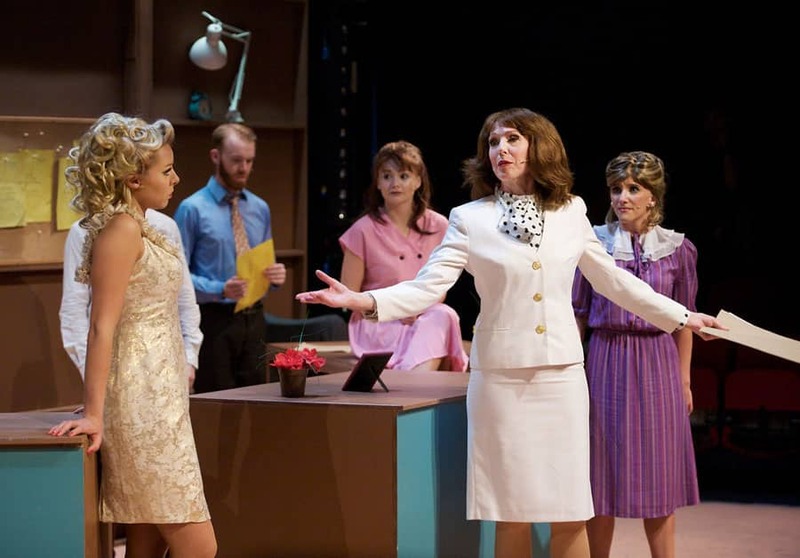 Based on the 1980 film of the same name, 9 to 5 the Musical is currently receiving its UK fringe premiere at Upstairs at the Gatehouse. 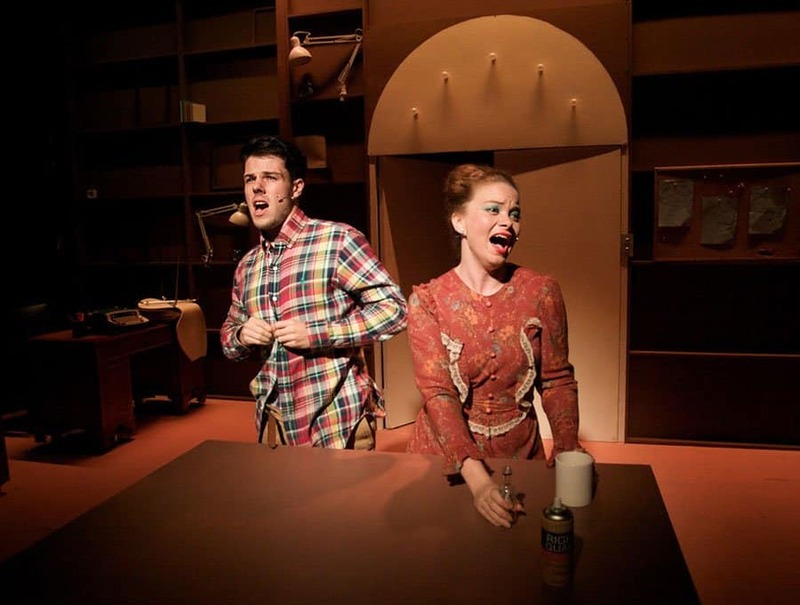 Whilst this modestly sized pub venue may seem an unlikely venue for such a production, director Joseph Hodges and company fill every square inch with irresistible energy. The story, not a challenging narrative by any means, follows the lives of three secretaries working at Consolidated Industries offices. Each of the women have their own personal problems going on, as well as having to work under the command of the smug, egotistical, hypocritical sexist CEO Franklin Hart, Jr (Leo Sené, appropriately detestable). Hart keeps his management teams as a strict boys only club, much to the chagrin of longtime employee Violet (Pippa Winslow), whilst relishing the power he unfairly holds over the rest of the office. 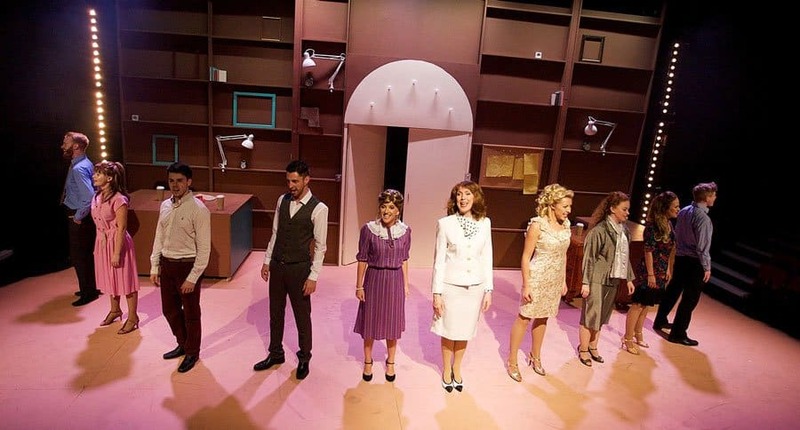 Meanwhile, mousy Judy (Amanda Coutts) is taking on her first ever job after her husband’s walked out, and bubbly Texas girl Doralee (Louise Olley) discovers that the reason for her office-wide unpopularity is that Hart’s been spreading false rumours of an affair between them. Finally the trio decide that enough is enough, and it’s time to get their own back on the boss. All three leads are absolutely superb. Winslow oozes cool confident capability as Violet and commands the stage. Coutts is suitably adorable as Judy with a huge voice, perfectly showcased in the show’s 11 o’clock number Get Out and Stay Out and Olley shines as she channels Parton’s warmth and energy as Doralee. 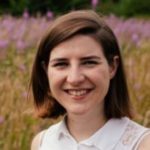 Elsewhere in the cast, Samantha Giffard as Hart’s sole admirer Roz, is utterly hilarious, and her solo number where the ensemble sing back up in matching cat-eye glasses is a highlight of the show. Things take a little while to really get going, with some of the earlier numbers blighted by patchy sound (the incredibly irritating pre-show track of repeated clock alarms could be done without), but it’s worth sticking with as the show finally gets into its stride. 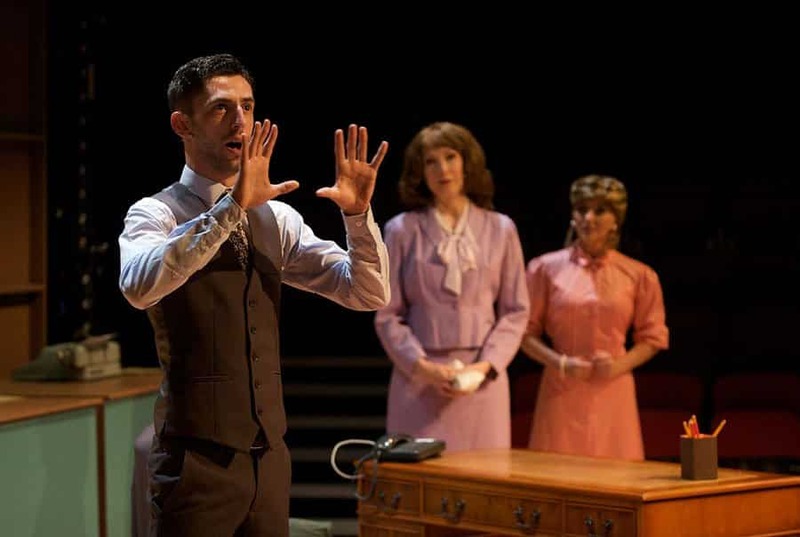 9 to 5 is best when it revels in its own high camp and allows itself to be gloriously over the top. Music and lyrics are provided by country legend Dolly Parton, who appeared in the original film as the curvaceous but kind-hearted Doralee. 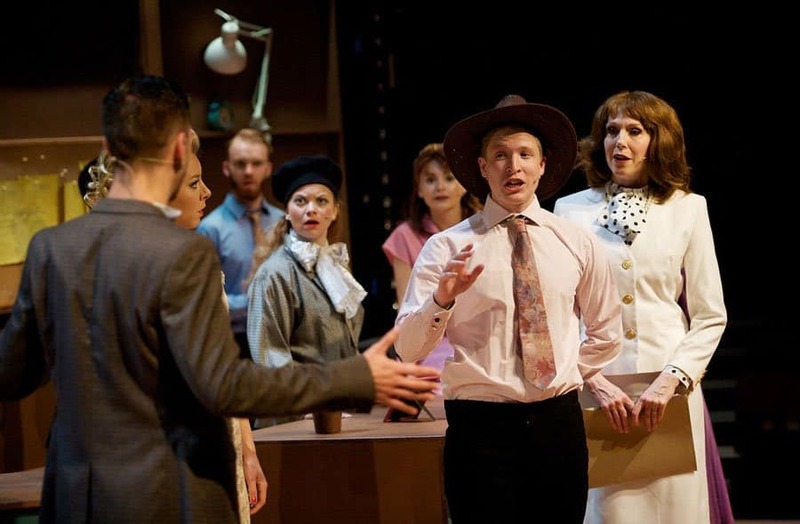 There are original songs written for the show alongside some more familiar pre-existing hits, and the titular tune becomes the opening number, as the employees of Consolidated ‘yawn and stretch and try to come to life’ through their morning routines. Patricia Resnik’s accompanying dialogue is hardly groundbreaking stuff, but the songs are strong enough, and endlessly catchy, to more than make up for it. Chris Whittaker’s choreography keeps the whole cast hard at work with some ambitious moves, and thankfully keeps the Gatehouse’s thrust stage in mind by caters for all three sides of the audience. Musical Director Oliver Hance’s band are excellent, and not overpowering, a common mistake in smaller venues. 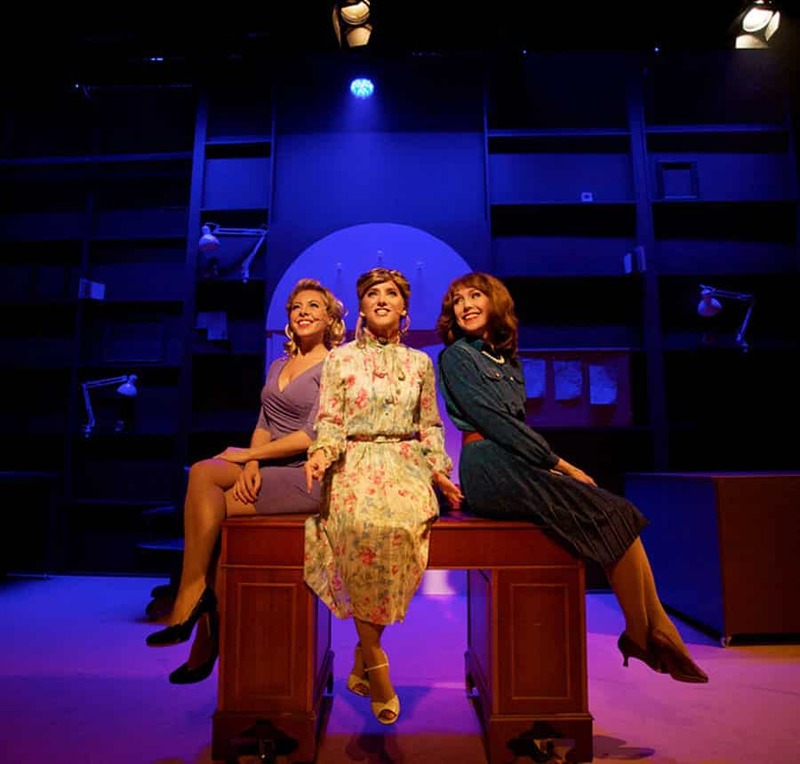 The women’s costumes are delightfully 70s, although the wigs used are absolutely criminal, and a set comprised of desks on wheels keeps the action fluid. An all too brief second act wraps things up neatly (of course) and the audience is left satisfied. 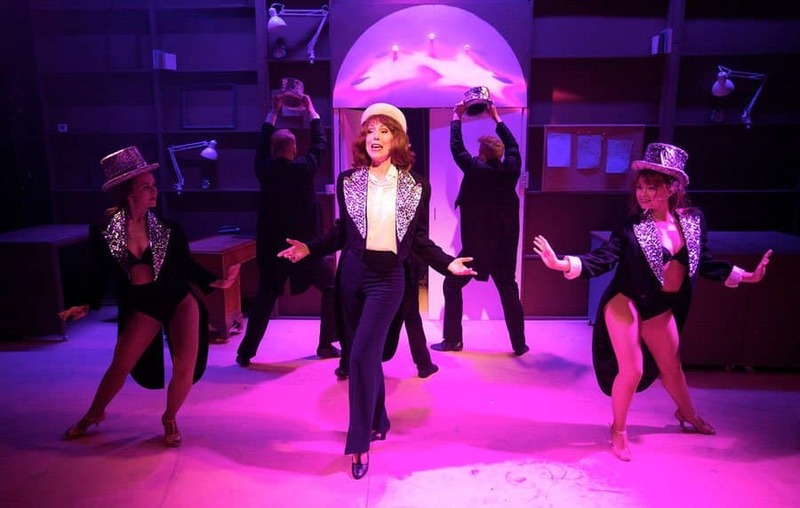 Frothy and frivolous as it may be, 9 to 5 is genuinely great fun. Whilst the choice of venue doesn’t add that much to the experience itself, it’s good to see that a work strong enough can be adapted for any kind of space and remain as enjoyable as this.